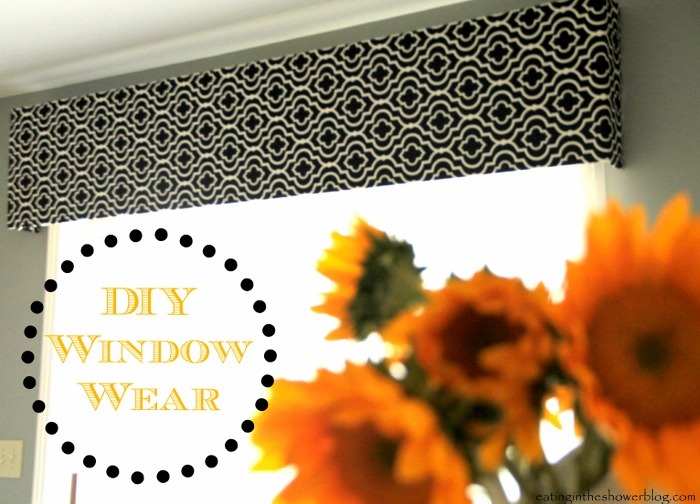 A few readers had questions about how we made the DIY kitchen window treatments shown here in my Oh No-ing to Glowing Kitchen reveal post. Here is a short summary of how we used extra materials from our remodeling projects to make pelmet box style custom window treatments out of leftover wood and fabric. The materials used for the small window were pieces of beadboard that we had left from the kitchen cabinet trim. The larger window over our sliding door required a more sturdy material to ensure it would be rigid and for that we used MDF. You could use a less sturdy material to construct similar window boxes but for a family that moves as often as we do, they needed to be able to withstand being handled if we wanted to keep them! The photos below are of the beadboard but the concept is the same if you are using the MDF. After constructing the frame, cover completely with batting. We stapled it right to the center board on the back. Then do the same with your fabric, trimming it, pulling it tightly and tucking it under itself as you go. I wrapped the corners like you would with wrapping paper on the sides of a package. The eyelets will be covered now so use a razor blade to trim the fabric around them and uncover them. You could also try to attach the eyelet after covering the frame but it will be tougher to go through the layers of batting and fabric. The fabric I chose has a pattern that is tricky to line up so depending on your fabric choice, be mindful of how the fabric looks on top when you are stapling to the underside! For the window over our sink the cabinets on either side are close and didn't allow much room so the box is close to the window fame. For the large window we made the box extend past the window frame two inches on each side and hung it several inches above the window to give the illusion of more height. There is a curtain rod with two white panels hanging behind it. I purchased seven yards of fabric and covered two window boxes, two barstools, and still have extra so depending on how large your windows are you may be able to get by with much less. Our small window box is 20 X 41 and the large is about 16 X 80. You did such a great job, they look very professionally done. good job. Love the fabric you used also. Great tutorial also. Gorgeous! 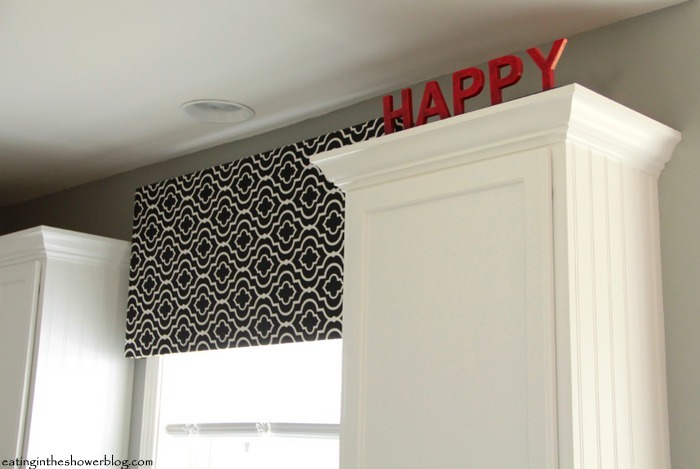 I love the print and color of the material you chose...goes perfect in your kitchen! Thanks for sharing! Have a nice evening! Such a gorgeous idea! It's funny, we sell roman shades and drapes in an almost identical fabric (http://blnds.cm/U8JSte). Everyone in our office has been obsessing over them for the past few weeks, but turning it into a pelmet is adorable. We'll definitely be sharing this post with our followers on facebook. This looks seriously awesome, Kate! What a difference! Beautiful! I love the fabric you chose. 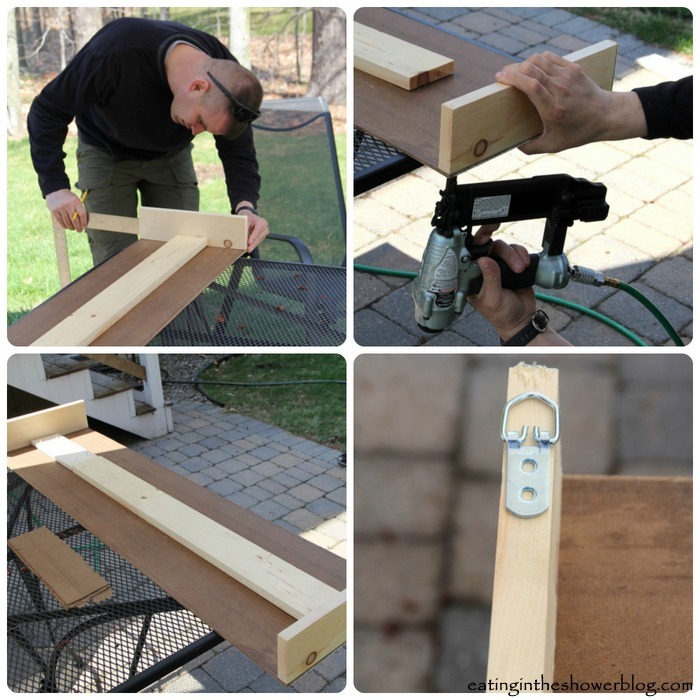 Thank you for linking up at our Simply Create Link party!! They look amazing! I think it's time to put my hubby to work! I'd love for you to come share this at our Pinteresting Party! These look amazing! I love the fabric you chose. The graphic design is beautiful. I am in LOVE with your kitchen! I love the white cabinets - and the black and white window treatment fabric really pops against the gray walls. The window treatment over the sliding glass doors really adds an elegant touch. We have them in our kitchen as well, and after getting rid of some really dated vertical blinds, I was looking for something to dress them up a bit - as I think they are a real sore spot for the eyes in my kitchen. Thanks for the great ideas.